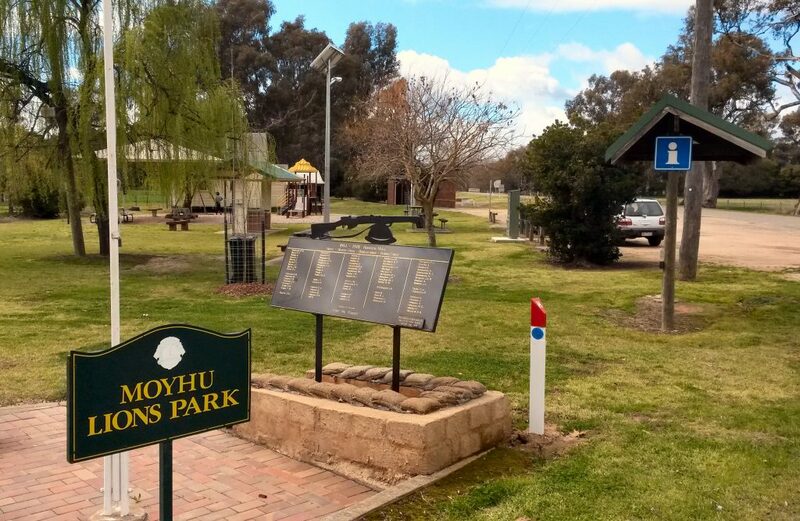 The King Valley town of Moyhu has one crossroads. 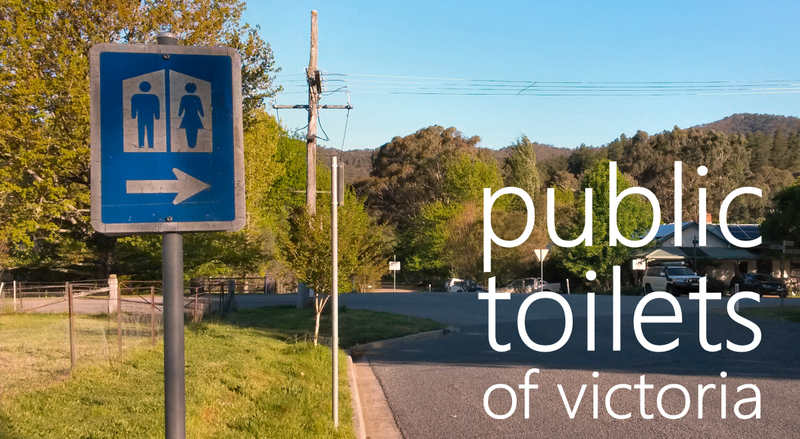 On that crossroads sits this public toilet. 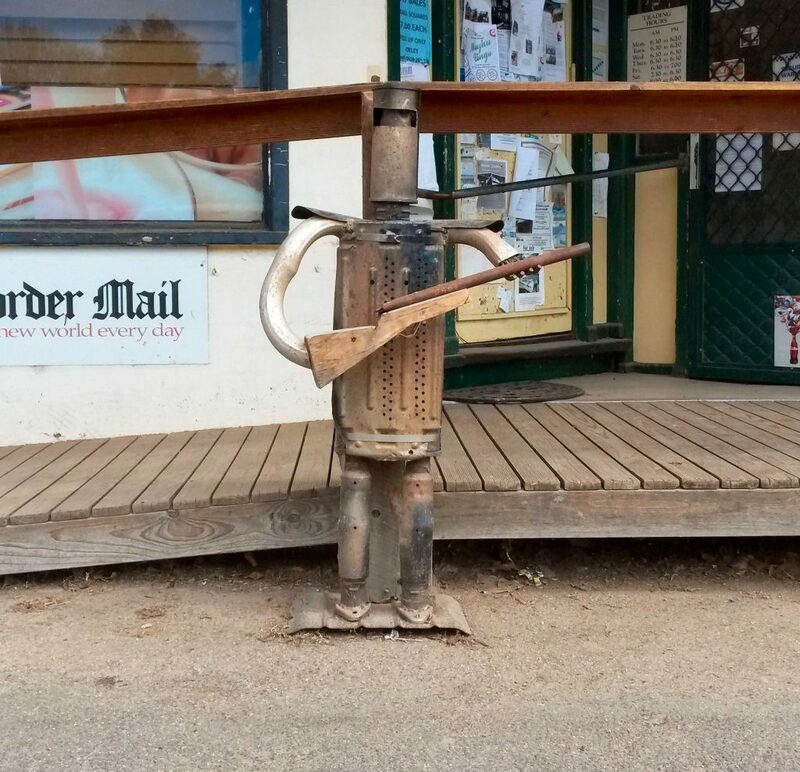 It is a bog standard dunny, and we mean that in the best of ways. It is sturdily built. You can park right next to it. It has a toilet and sink for males, and a toilet and sink for females. 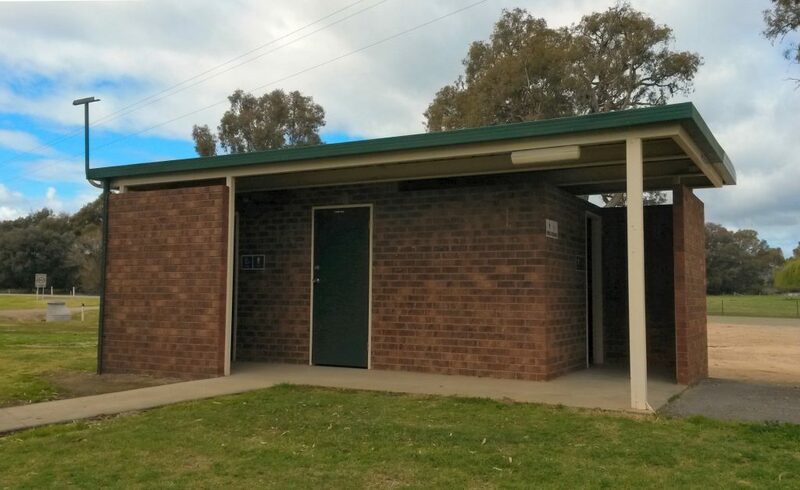 It has a covered verandah from which, once you’ve done your business, you can stand in shelter and survey your surroundings. And that’s when we saw the Moyhu Lions Park. The Moyhu Lions Park is to well thought out public parks what a greedy child eating at Pizza Hut’s “the works” buffet in the mid-1990s was to a sensible meal. Whoever designed the Moyhu Lions Park must have started proceedings with jelly from the dessert bar, stuffed themselves silly with garlic bread, pushed past their friends to be the first one to the meatlover’s pizza, dispensed soft-serve directly into their Pepsi Max, added chocolate sprinkles to spaghetti, bypassed the salad bar entirely, gone back for a final serve of jelly, and then chundered civic-mindedness all over a quarter-acre block. The result is bloody fantastic. In an area barely big enough for a house and chook pen, the Moyhu Lions Park contains a greater density of civic structures than we have ever seen before, all laid out with the care and precision of a chimpanzee playing SimCity. Let’s run through the offerings. First, pictured above we see the flagpole, war memorial (note the sandbags—a nice touch! ), fire hydrant marker, information booth, wheelie bin (#1) and telephone exchange. Q: What do you do when you want to embrace future technologies and add innovative civic structures to your Lions Park, without encouraging local ratbag kids to hang around and have picnics at night? 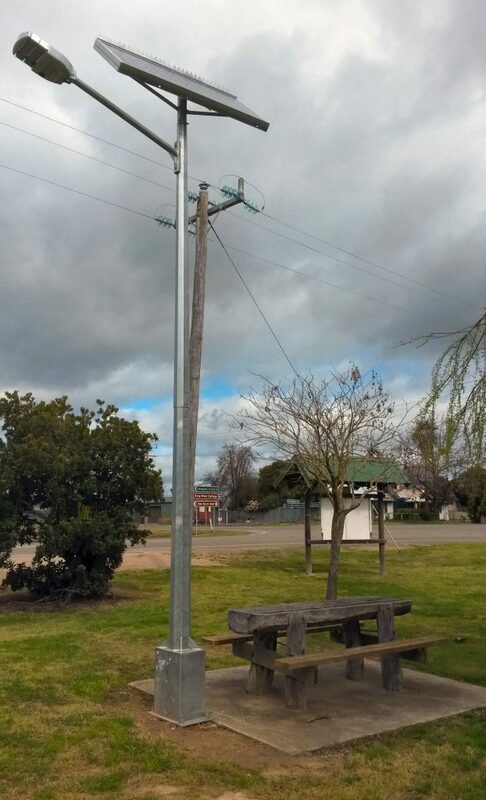 A: See above, as installed in the middle of Moyhu Lions Park. 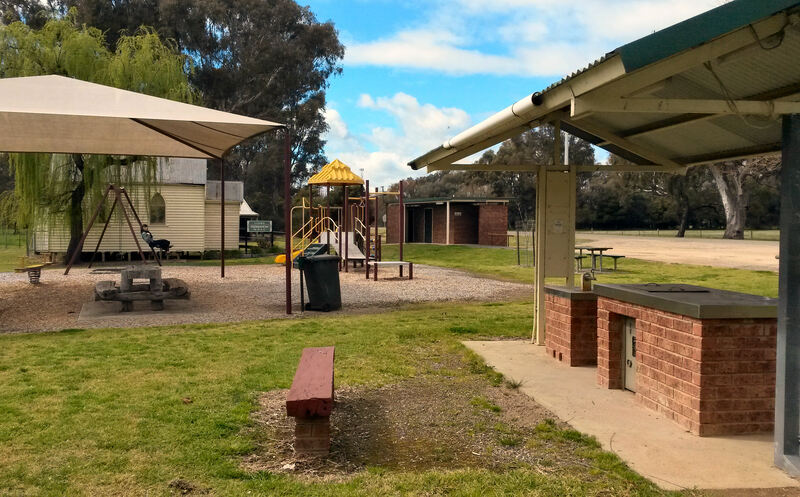 Moving further down, we have a covered BBQ, drinking fountain, oddly isolated bench, one covered picnic table, one uncovered picnic table, and wheelie bin (#2). 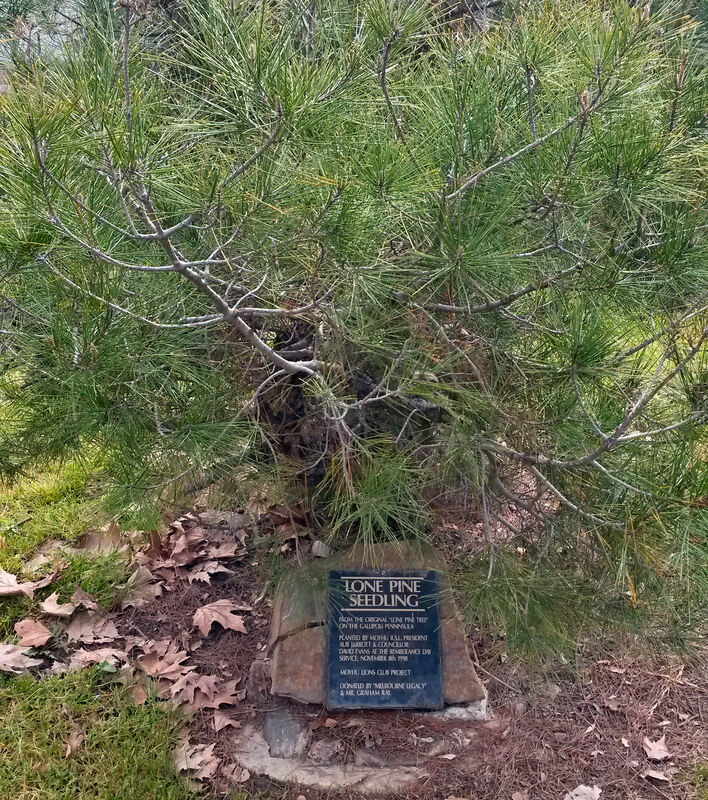 Just out of shot (not this shot obviously, the one before): a seedling from the original Lone Pine tree at Gallipoli. 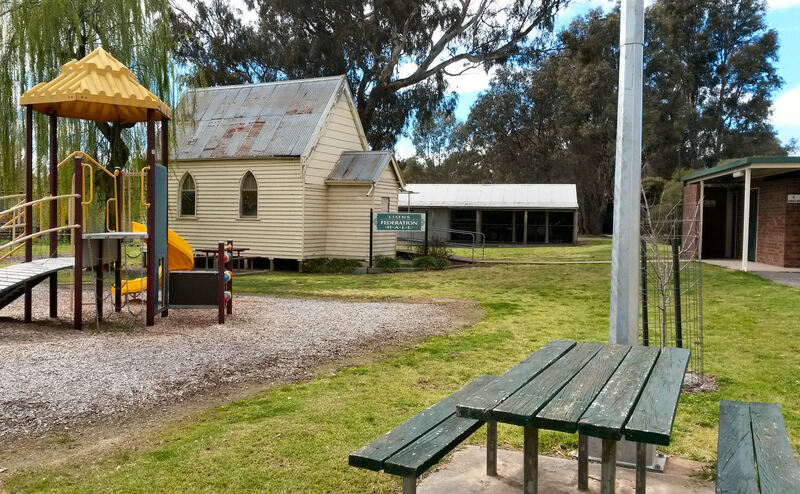 And at the end of the block, a playground, swing set, public hall, and the public toilet.